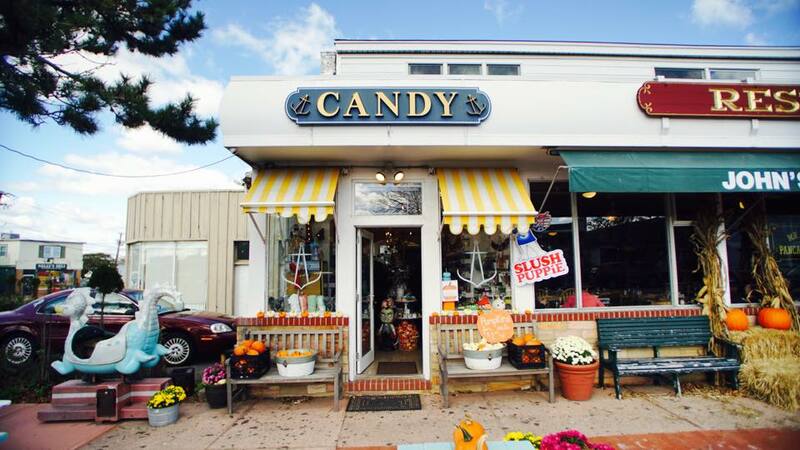 Located in the heart of Montauk, at 721 Main Street, The Candied Anchor is a 1950's sweet shop with a modern sensibility. Equal parts classic Americana and organic Bohemia, The Anchor is sure to delight even the most stubborn sweet tooth. In it, you'll find party supplies, baked confections, ice cream, quirky retro gifts, and, of course, all the candy you could possibly want. Introduce your kids to your favorite childhood candy, or discover a new locally-made treat for yourself. 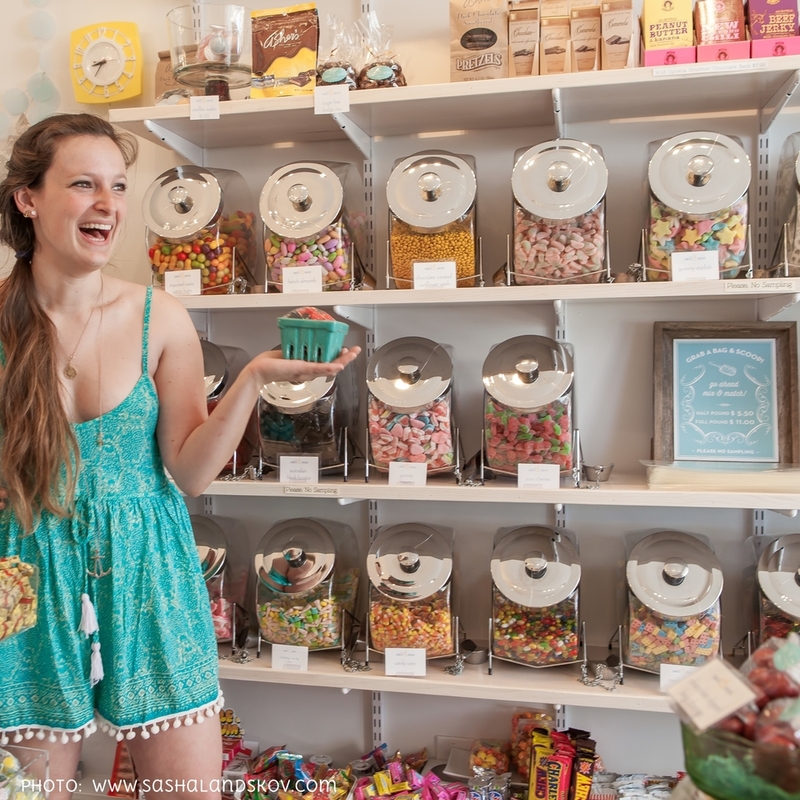 The Candied Anchor carries something for everyone - from classics like Mary Janes and candy cigarettes, to unusual treats like the award-winning goat's milk caramels from Big Picture Farms in Vermont. We also have health-conscious options, if you struggle to buy for the the sugar-free, gluten intolerant, allergic-to-nuts person in your life. In the mood for something fresh baked? We carry treats from local baker Dawn Rennar - owner of Dawn's Delicious Delights - including her famous brownies, homemade marshmallows, pies in a jar, and adorable decorated sugar cookies. We can also do custom cookies or treats for any event. Birthdays, baby showers, bachelorette parties, and more - we have a full line of party supplies for any occasion. The Candied Anchor also carries home-made piñatas, if you're looking to add a unique twist to your party.